Robert, more commonly known as Mac, McFarlin is a senior at Lakewood High School. He has been a Lakewood High student all four years of high school. 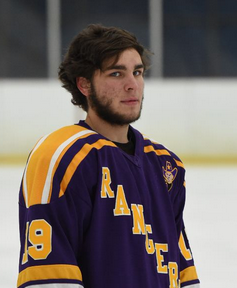 His past four years he has played hockey for the varsity team at Lakewood. He has also done the West Shore construction trades program for his junior and senior years. Q: How long have you been playing hockey? Q: What has been your favorite high school class and who is your favorite high school teacher? Q: What is your best memory from the past four years?